1 Who is Judge Faith? 6 Is Judge Faith on Social Media? 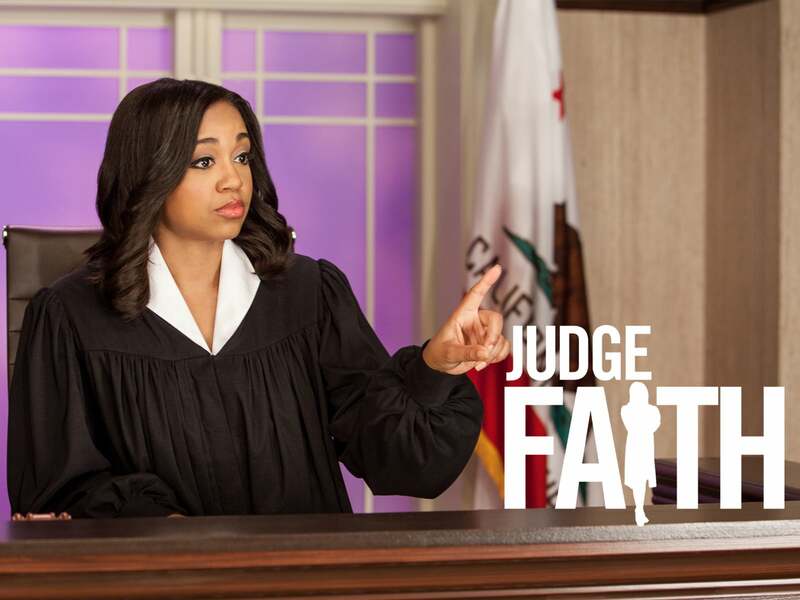 Faith Jenkins was born on 21 November 1979, in Shreveport, Louisiana USA, and is an attorney, legal commentator and media personality, best known for her work on the daytime TV series “Judge Faith”, which is a television courtroom program. How rich is Judge Faith? As of mid-2018, sources estimate a net worth that is at $2 million, mostly earned through a successful career on television. She also earns income working as a legal analyst for MSNBC. As she continues her endeavors, it is expected that her wealth will also continue to increase. Faith grew up in Shreveport, and was educated at C. E. Byrd High School located in her hometown o. After matriculating attended Louisiana Tech University, where she would study for a degree in political science. Around this time, she was deeply involved in beauty pageants, and would go on to win several titles during her run, actually becoming the first African-American woman to win the Miss Louisiana Tech title. Happy Mother’s Day to my beautiful mother! And shout out to my dad (he kept the side gold tooth a thing for a good decade after this pic was taken ??.) Mama the very first time I came to you crying because I thought I had dreamed too big & wasn’t sure if I could achieve a goal I’d set – I’ll never forget your unwavering voice when you told me I could do All things through Christ who strengthened me. I achieved that goal and have never looked back in large part because I’ve carried your words with me from that day to this one. ❤️ happy Mother’s Day to all the mothers who gave their children the courage to believe in themselves! In 2000, she won the Miss Louisiana title, and advanced to compete in the Miss America 2001 competition, where she was the first runner-up, and was a preliminary winner in both swimsuit in the talent portion. She was also the winner of the Quality of Life award. After the competitions, she then went on to further her studies at the Southern University Law Center located in Baton Rouge, where she would earn her Juris Doctorate, and where she was ranked at the top of her class during the completion of her degree. Jenkins began her legal career in the office of Sidley Austin in New York City, which was one of the larger law firms in the area. She served there five years as a litigator, and would become Assistant District Attorney in the Manhattan District Attorney’s office, as a prosecutor. Eventually, her popularity and experience led her to make guest appearances in various television shows, including in “Fox & Friends”, “Studio B with Shepard Smith”, “Willis Report”, “The O’Reilly Factor”, and “Hannity”. She also started writing for several publications, including opinion editorials about current events for the New York Daily News, which is one of the more widely circulated daily newspapers in the US. She continued as a television personality for a number of years, before it was announced in 2014 that she would become the star of her own daytime television show – “Judge Faith” – as a judge as the title suggests, akin to similar television courtroom series. The show began in 2014 and is produced by The Tornante Company as well as Trifecta Entertainment. In 2015, Faith also became the host of a documentary series entitled “Justice By Any Means”, which features various true crime cases often involving African-Americans trying to find justice. However, she only held the position for a year before she was replaced by actor Malik Yoba. Despite her being very active on various media platforms, Faith is known to be highly private when it comes to her personal life, and has not shared many details about her family or relationships. Only once was she rumored to be dating a colleague, but it was never. There were also rumors circulating that she is married, however, there is no evidence to back-up this claim, so the belief is that she is still single. Is Judge Faith on Social Media? Similar to numerous media personalities, Judge Faith is highly active online through accounts in various social media networks, being associated with Instagram, Facebook and Twitter. She mainly uses her platforms to advocate some of her interests, and the things she does on a daily basis. She also promotes her show as well as commenting on current events. Her Instagram page has a lot of personal pictures with friends, and she even does a few throwbacks to the time she was competing in pageants. She can also often be seen with other highly popular television personalities through photos and videos on her accounts, including with Steve Harvey in a few occasions. Her Facebook page mainly does promotions of her television show “Judge Faith”, and she also has a personal website which showcases her experience and education. She mentions that she’s handled hundreds of criminal cases, and has been the lead attorney in numerous jury trials.